This holiday season, why not get a mineral every day instead of chocolate? Today’s mineral is Nahcolite find out more about it below.. The party season is defnitely upon us, and if you had a big night last night, or are planning one over the next few days, to deal with all the rich food and drink you may find yourself reaching for an antacid. But have you ever stopped to think what is in an antacid? Well one of the main ingredients is sodium bicarbonate, something that you may be familiar with from the kitchen, but did you know it can also be found down a mine as well? Yes sodium bicarbonate comes from the mineral Nahcolite. The sodium bicarbonate in Nahcolite is a natural pH neutraliser, which makes it excellent for those upset stomachs we can all get at this time of the year. Obviously sodium bicarbonte can also be used for baking, but if you are feeling a bit squiffy then probably the mention of cookies and cakes won’t help you right about now! Nahcolite is not found in the UK as far as I know, but again, if I am wrong – please let me know in the comments section! For more information about Nahcolite please visit the MinDat website. This holiday season, why not get a mineral every day instead of chocolate? Today’s mineral is Cinnabar find out more about it below..
It’s a DINOSAUR CHRISTMAS JUMPER! I mean come on! It has ROBOT DINOSAURS on it!!!! But there is one thing that it shares with many other Christmas jumpers – it’s synthetic fabric. But that’s ok, because the mineral we are looking at today is essential for artificial jumpers, and that is Cinnabar. Cinnabar is one of the original sources for the colour vermillion red and is also used in the formation of sodium hydroxide, a material that is used to make synthetic fabric, aka ALL THE CHRISTMAS JUMPERS!! Seriously if you have a Christmas Jumper that isn’t synthetic, please send me a picture – I’m not sure they exist!!! I mean, no words are needed really. An AMAZING Cinnabar photo by Dominik Schläfli. Locations for Cinnabar in the UK, as per the MinDat website. I didn’t realise you can find Cinnabar in the UK, but let’s face it, we have a brilliantly diverse rock and mineral resource in this country so I shouldn’t be surprised (quietly slips off to note these locations down as I love Cinnabar, it’s beautiful and has a fun name that sounds like it should be a biscuit). For more information about Cinnabar please visit the MinDat website. This holiday season, why not get a mineral every day instead of chocolate?! Today’s mineral is Smithsonite, find out more about it below…. If you hadn’t guessed yet, I really enjoy this time of year; the food, the sparkling lights, the music, the company and the bells! The jingle of sleigh bells is so ubiquitous at this time of year that you might think that you don’t hear them any other time, but good brass sleigh bells are still used on sleds and sleighs to make them audible o dark winters nights in many parts of the world. And what a great sound they make!! Yes sleigh bells are my text tone right now, which I guess might be driving my family a little crazy, but in order to have real brass sleigh bells you need zinc, and for that you need today’s mineral Smithsonite! Lovely Smithsonite – this pink one is really pretty! The image is from the MinDat website, taken by Danny Jones. Colour: White, grey, yellow, green, blue, pink, purple, bluish grey, and brown. Locations for Smithsonite from the MinDat Website. Smithsonite is a mineral connected with the oxidisation of zinc, so you can find it in several locations in the UK – similar to copper, often in old industrial mining areas. But again, take care if searching for minerals near old mining locations, in case of unmarked shafts, or dangerous unstable surfaces. For more information about Smithsonite please visit the MinDat website. This holiday season, why not get a mineral every day instead of chocolate? Today’s mineral is Talc find out more about it below.. So now the party season is fully upon us, how many festive dinners have you got scheduled this year? I’m only going to three (apart from the big day) but one year I had ELEVEN!! That was a lot of seasonal parties!!!!! If you are going out to a party tonight (as I am – staff party here we come!) then you will probably be thinking about looking your best, and if you are like me that means sparkles! I also like a bit of shimmer in my make-up, but did you know that your make-up probably includes some of the mineral talc? A bit of sparkle goes a long way at this time of year and shimmery make-up just helps it along! Talc has been used in make-up for years, but since the recent resurgeance of mineral make-up talc is becoming a more obvious ingredient. It is actually pretty good in make-up as it is not harsh on your skin and smooths the make-up on. If you are anything like me you are very familiar with talc from when you were a kid, my mum would use if for anything from patting you down after the bath to getting swimming caps on (yes I did look like a ghost afterwards, but it didn’t hurt!). So the talc in your seasonal make-up is today’s mineral advent! 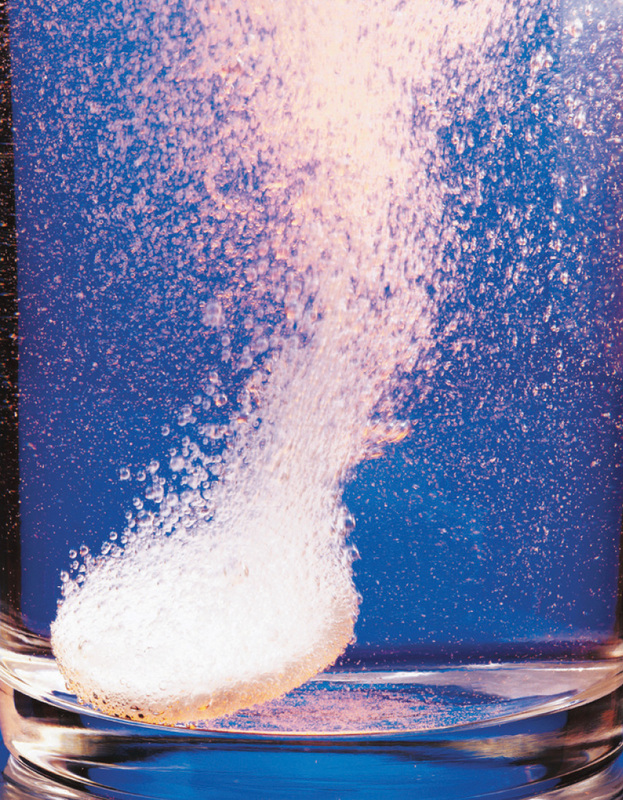 This is a gorgeous picture of a talc crystal from the MinDat website. Colour: Colorless, white, sometimes it can be pale green, bright emerald-green to dark green, brown or gray. You can find Talc in the UK, it is often found in large masses in or near rocks that are metamorphic (aka altered by heat and/or pressure). As these kinds of rocks can be located far from civilisation be careful if going hunting for talc! For more information about Talc please visit the MinDat website.